I’m so happy to share that our work has been chosen to be highlighted on the news website AdvancedScienceNews. A new type of surface optical sensor for water capable of being embedded in aircraft wings with no influence on the aerodynamic design and capable of record high-performance. A consortium of European and Japanese researchers from both the academic and industry worlds have reported an answer to the multidisciplinary question of how to develop functional sensors that are precise and highly sensitive, and yet withstand harsh environmental conditions. State-of-the-art icing sensors may not be sensitive enough for current and future aircraft transport safety regulations. Moreover, state-of-the-art surface photonic sensors are mostly based on evanescent-field enhanced nanostructures that cannot sustain damage, else they become irreversibly inoperative. These sensors are also extremely difficult to couple with high efficiency to optical fibers and sustain harsh environmental conditions without failure. The researchers believe that the future of real time sensing lies in photonics and have developed a novel optical sensor technology that can be interconnected to the aircraft optical fiber network and that can be installed on any point of an aircraft for the fast evaluation of icing conditions without affecting its aerodynamic design. In their recent paper in Advanced Materials Technologies the researchers present results from a full developmental work on the sensor concept proof and prototype first tests in icing chambers. A mid-infrared photonic sensor was developed that is capable of detecting sub-micron and micrometric water ice layers. Furthermore, the sensor is able to identify the type of water phase (liquid, solid, or metastable supercooled) and instead of working through evanescent-field sensing the sensor uses a tunnelling mechanism, dependent on the resonance frequencies of the water molecule OH-vibrational modes. Both simulations and experimental proof-of-concept results are shown, as well as data from extensive sensor prototype testing performed at the Fraunhofer-IFAM icing wind-tunnel facilities in Germany. 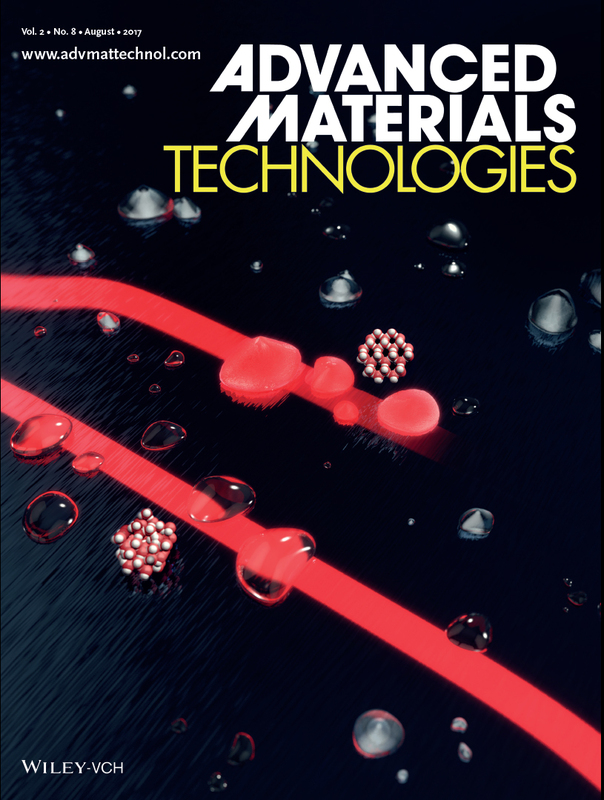 The authors believe that this novel sensor technology opens an avenue to sensing the formation of micrometric to nanometric water layers in real time and the monitoring of its temperature, phase changes, and eventual microstructure. The type of microstructure of the ice droplets is determined covering well known ice types in the icing community, such as clear and rime ices. The researchers also showed the detection of supercooled water droplets, which is a topical area of current interest for a wide scientific and engineering community spanning from biology cell research and the understanding of life at its lower temperature limit, to the food and pharmaceutical industries, the environmental and climate research sciences, as well as the aviation industry due to the high threat that these droplets cause under in-flight icing conditions. Next See you in San Francisco at Photonics West 2018! See you in San Francisco at Photonics West 2018!